Finding love. Keeping love. Love problems. Tarot is an invaluable divination tool no matter what insight you want to know about love and relationships. Are You the Right Candidate for my Free Love Tarot Card Reading? As the saying goes, everyone wants to be loved. Mostly everyone would enjoy being in a truly loving relationship. Finding - or maintaining - such a relationship is not always easy. Asking for advice never hurts. People's opinions, however, may be biased or short-sighted. Tarot cards are not limited by such attitudes. In fact, these cards are exceptionally helpful in guiding someone towards love in an unbiased way. The tarot can simply tell the tale as it is. No one wishes to waste time in a relationship that is going nowhere. Unfortunately, without the right guidance, it is hard to see where the relationship really is headed. The great value of experiencing this free love tarot card reading is the process can provide a meaningful amount guidance capable of leading someone down the right path. Perhaps you are concerned about past relationships that were failures. Be mindful – the way to the future lies in the past. A quick glance at these cards may illuminate something in your past relationship patterns that will help you make positive changes in future romantic relationships. Is your current relationship ‘stuck’? Is your partner cheating on you? What do the cards show about the future of this relationship? Are you even invested in the right relationship? Will he pony-up with a ring? Is she my forever love? This free love tarot card reading can hold the answers to these and other love quandaries. To get the best insight possible you will need to relax and focus your intention. Especially so if you are on the verge of making a big decision! So, take a moment now to relax. Take three deep breaths feeling your body relax with each out-breath. Now hold the intention to receive the best guidance from the spiritual source you hold most dear. Think of your own spirit guide, or an angel you connect with, or a deity you believe in. Think of who or what you hold most sacred. And now bring your love-life question to mind as you select each of the three cards below. Who Else Offers Free Love Tarot Card Readings? The tarot has been around for centuries and expert (and novice) readers have been using the cards for divination since day one. Not to be trite, but it is safe to say tarot cards have a track record for revealing guidance and advice. Money, health, and, yes, love and relationships are among the top subjects in which advice is sought.  Tarot card readers have been giving advice to people all over the world for - as mentioned - many centuries. The important point to consider here is the person who reads the cards plays a huge role in the advice given. Suppose your cards are laid out in a specific manner based on the luck of the deal. Should those same cards be laid out in the same sequence by several different readers you would get very different readings each time. The ability to interpret the cards is what contributes the most to getting the best advice. Anyone who is interested in gaining free, but valuable, advice on love and relationships positively would best seek that advice from an experienced, talented reader. After all, if the reading is a poor one, what value would it have? Very little. Obviously you can always find a novice who would love the chance to practice with you for free. 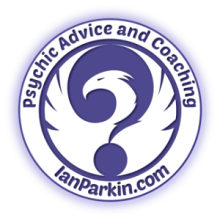 And I've developed a good list of free psychic reading opportunities on this page. Prefer a More Personal Connection? Alternatively, personally connecting with a professional Tarot reader can bring forth one of those rare Eureka! moments. Rather than regurgitating fortune cookie type meanings, psychic tarot readers think in a world of higher dimensions. They will tap into hidden knowledge, which will aid you in making tough decisions before something terrible occurs. Many professional tarot reading psychics offer free introductory minutes and big discounted offers as a way to build their client base. This can be great for you if you want a better level of help and guidance in your tarot readings.  Can Love Psychic Advice Reveal Your Romantic Future?